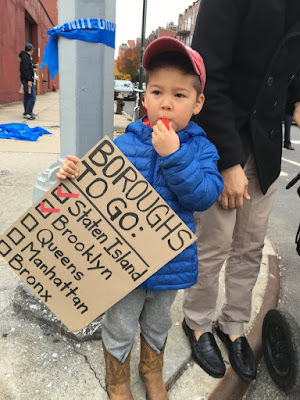 A family in Park Slope, Brooklyn, doing stuff and sharing it with the internet. Mile 7 Fluid Station Volunteer Reporting for Duty. 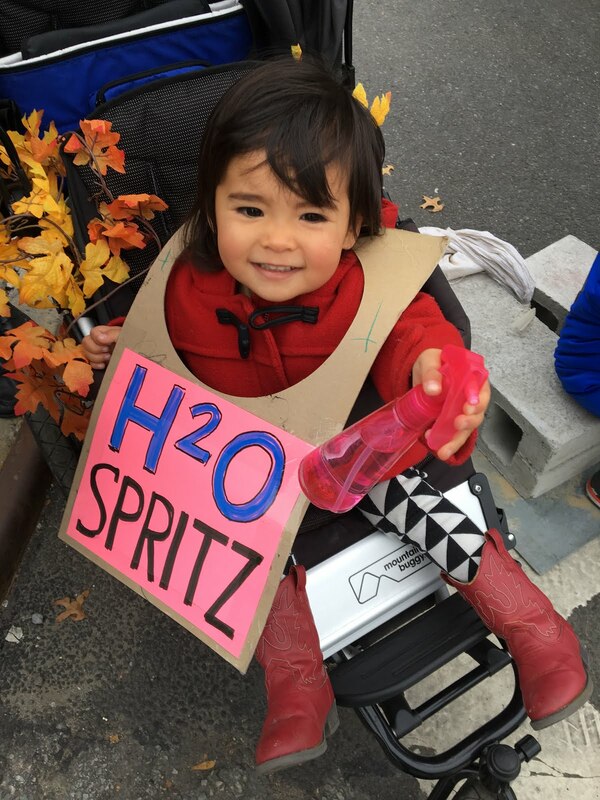 Ready to Hydrate NYC. Registrations to enter the drawing for the 2016 New York City Marathon just opened up yesterday and it's got me thinking about the great event that takes place every first Sunday of November. My husband hopes to run this year and I plan to volunteer again. Will you run, volunteer or cheer? I've run the New York City Marathon twice (2002, 2014) and both times, I was so thankful for the volunteers and spectators. They are as much a part of this marathon as the runners. I wanted to be a part of the marathon experience from that side. Since I live near the Mile 7 fluid station, I registered online to volunteer for that job. You, too, can sign up to volunteer for the 2016 New York City Marathon here! 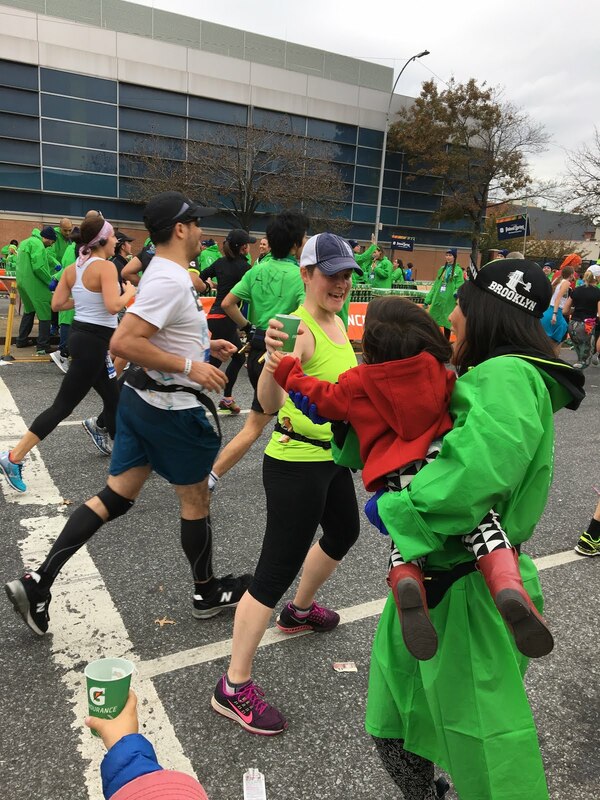 I was one of the dozens of people who helped out at Mile 7, giving water and Gatorade to thousands of runners from morning to afternoon and cheering the whole time, too. It was such a blast and I highly recommend participating. So, what is volunteering like?? 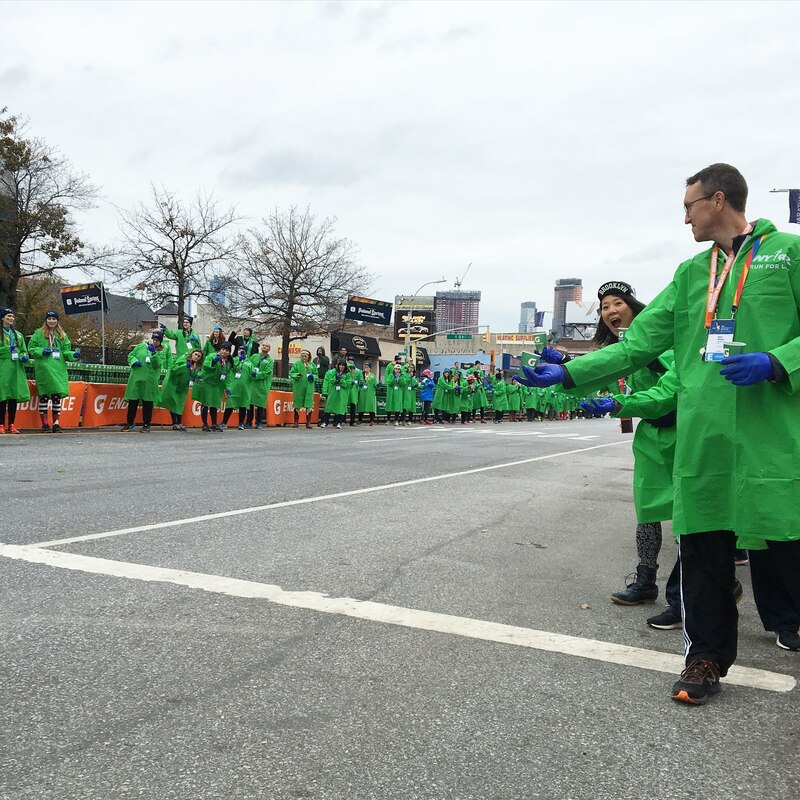 Here's what can you expect if you volunteer at a fluid station during the New York City Marathon. I checked in at the volunteer tent at 1st Street and 4th Avenue at 6:30 am. Afterwards, I was setting up tables, which line all sides sides of 4th Avenue for a block. After the tables were set up and Poland Springs and Gatorade signage was taped onto the tables, everyone started filling cups with water and making giant vats of Gatorade using a concentrate and jugs of water. There's a flurry of activity putting the water tables together, but then you sort of wait. And wait. The energy builds slowly with the elites coming through in bursts, but with 20-minute pauses of no runners between the bursts...the wheelchair division comes through, the elite women, the elite men...then the masses! 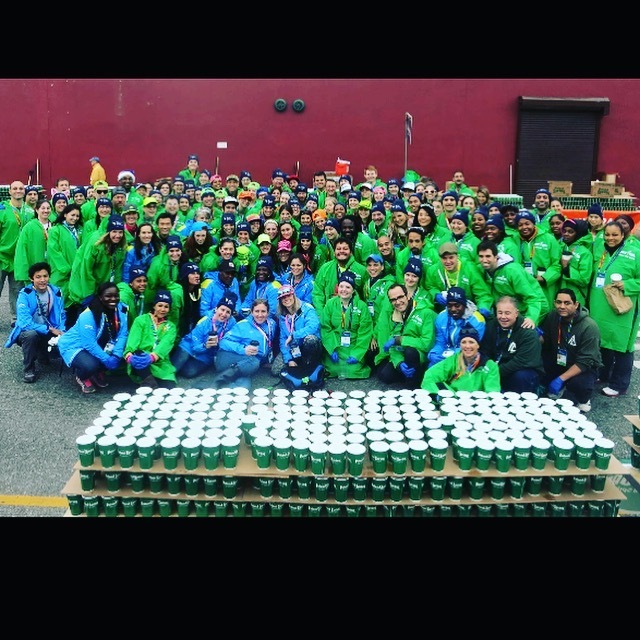 I cheered and handed out hundreds of cups of Gatorade for hours. Of course it's fun to cheer, but to cheer and help out the runners who are giving it their all out there for 26.2 miles just feels good. The atmosphere is festive and it's sort of like a holiday...one of the happiest days of the year in New York! My husband and kids got in on the action, too. They came to visit and helped cheer and give out fluids (and brought my rain boots...that Gatorade gets sloshed everywhere!). My four-year old stayed with me and even helped me break down stuff after the station was shut down around 2 pm. 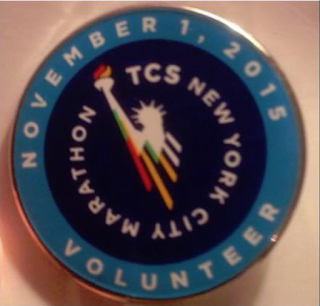 Volunteering at the New York City Marathon was a fantastic experience. It's the kind of thing that reminds me why I love living here. Participating in this kind of event is what separates us from the suburbs. This is why we're here, to be a part of it...New York...New York! I'm thinking about volunteering this year as I really enjoyed volunteering at the brooklyn half. I have a question regarding the length of the shift. Did you ever take a break or had any time to eat? Our 5 hour shift at the brooklyn half was much shorter (5 hours) and eating kind of seemed out of the questions so I was curious about your experience. Like New York City Family on Facebook! We write about things we experience from a New York City family perspective. Review: Best Instant Coffee! There is Such a Thing!